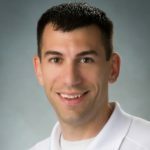 Steve Michelotti works for Microsoft on the Azure Government team, focusing on developer enablement. 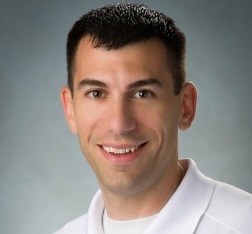 He is a contributing author for Pluralsight training and a member of ASPInsiders. Before joining Microsoft, he was a 7-time Microsoft MVP in ASP.NET. In addition, Steve is a frequent presenter at developer user groups, conferences, and Code Camps along the East Coast. Steve is an avid blogger (http://stevemichelotti.com), has contributed articles to Visual Studio Magazine, and his work on high performance web solutions was featured on Channel 9. In this episode of the Azure Government video series, Steve Michelotti talks with Harshal Dharia, Cloud Solution Architect in US Federal at Microsoft, about open source DevOps in Azure Government. Having a reliable and secure DevOps pipeline is one of the most important factors to a successful development project. 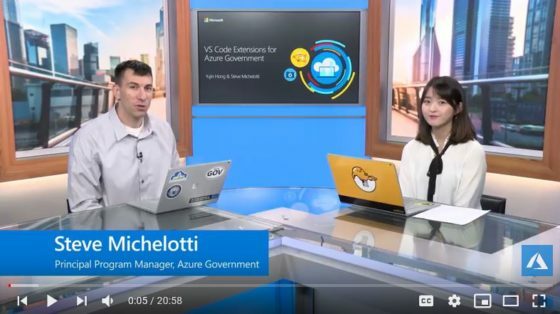 In this episode of the Azure Government video series, Steve Michelotti once again sits down with Yujin Hong, Program Manager on the Azure Government Engineering team, to discuss many of the incredible VS Code Extensions for Azure. In this episode of the Azure Government video series, Steve Michelotti talks with Sachin Dubey, of the Azure Government Engineering team, about Azure Database for MySQL in Azure Government. 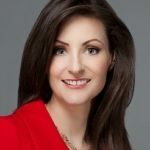 MySQL is one of the most popular open source relational databases ever – but running it at an Enterprise scale has its challenges just like any other database. In this episode of the Azure Government video series, Steve Michelotti talks with Mohit Dewan, of the Azure Government Engineering team, about Managed Identities on Azure Government. Mohit starts out by explaining what Managed Identities is and how leveraging it can result in a significantly more secure application. 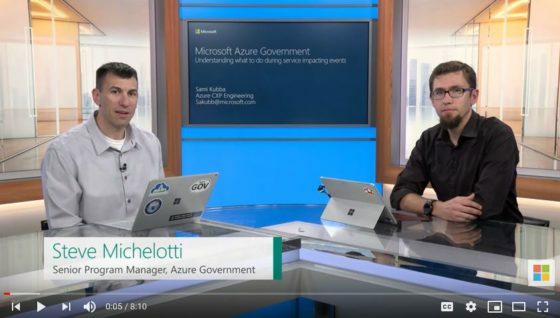 In this episode of the Azure Government video series, Steve Michelotti sits down to talk with Yujin Hong, Program Manager on the Azure Government Engineering team, about Serverless computing in Azure Government. 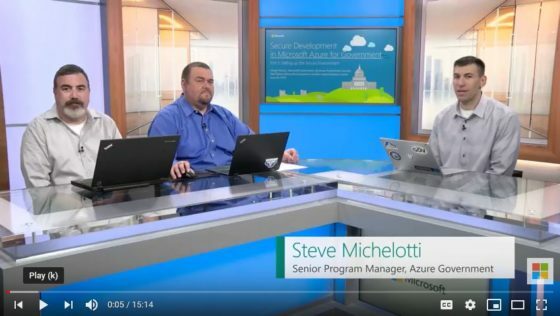 In this episode of the Azure Government video series, Steve Michelotti talks with Paul Fisher (Modern App Solution Center, Microsoft) and Joseph Bloom (Business Productivity, Microsoft) about how to set up a secure development environment on Azure Government. 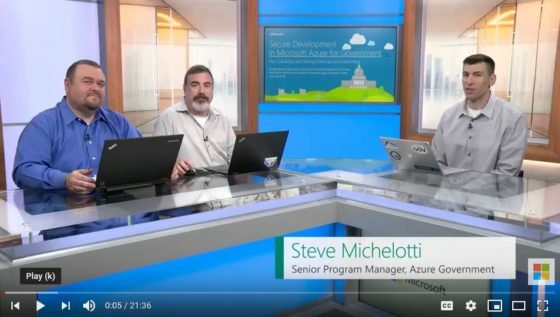 In this episode of the Azure Government video series, Steve Michelotti talks with Joseph Bloom (Business Productivity, Microsoft) and Paul Fisher (Modern App Solution Center, Microsoft) to discuss how to set up a secure development environment on Azure Government. 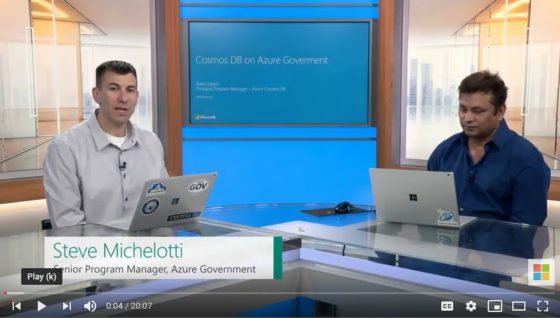 In this episode of the Azure Government video series, Steve Michelotti talks with Rafat Sarosh, Program Manager on the Cosmos DB team, about Cosmos DB on Azure Government. 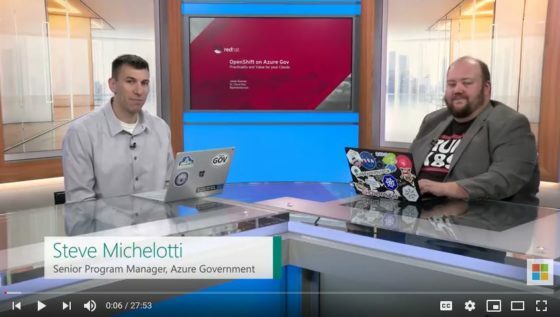 In this episode of the Azure Government video series, Steve Michelotti sits down with Jamie Duncan, a Cloud Solutions Architect from Red Hat, to talk about OpenShift on Azure Government. OpenShift is an Enterprise grade application platform for containers with Kubernetes.